Mopeds and scooters are inexpensive, popular modes of travel for many across the US. A moped is considered any vehicle with three wheels or fewer that has an engine no larger than 50 CCs. While convenient, these vehicles can prove dangerous if operated negligently or without proper safety. The NHTSA published 2007 data showing that combined moped and motorcycle injuries rose from 88,000 to 103,000 over the course of one year. The CDC grouped mopeds into a category responsible for over 20% of traumatic brain injuries. On average, the NHTSA believes that those who ride motor bikes, mopeds or scooters are 35 times more at risk of fatal injury than those riding in typical passenger vehicles. In 2014, the NHTSA reported 92,000 injuries and 4,295 deaths from motorcycle, moped and scooter accidents across the US. When it comes to operating a moped or scooter, safety should always be the primary concern. 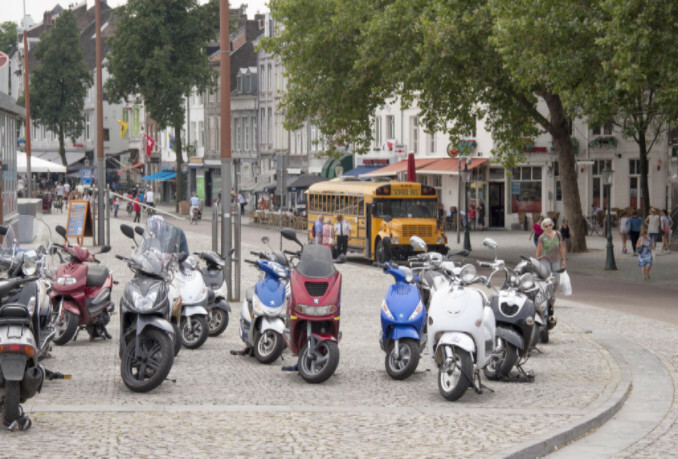 Unlike passenger vehicles, mopeds are not enclosed, and accidents can become deadly very quickly. Wear a helmet, even if it’s not required by your state. Wear tough clothing to help stop skin abrasions if an accident occurs. Make yourself visible at all times to other drivers and pedestrians. Follow all traffic rules closely to avoid an accident. Make yourself familiar with any legal requirements for driving a moped in your state. If you or someone you know has been the victim of a moped, scooter or motorcycle accident due to another driver’s negligence, you should contact an experienced personal injury attorney near you who specializes in these types of case.